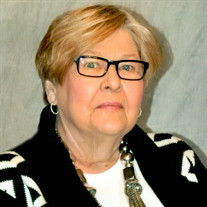 Marjorie J. Winters, age 76, of Canton, Ohio, longtime resident of Alliance, passed away at 6:50 p.m., Tuesday, January 22, 2019, at Mercy Medical Center. Marjorie's family would like to extend a special thank you to Mercy Medical Center's CCU for their compassionate and loving care given to her. In lieu of flowers memorial contributions may be made to the Stark County Humane Society, P.O. Box 7077 Louisville, Ohio 44641 or to the Shriners Crippled Children's Hospital, 1645 W. 8th St., Erie, Pennsylvania 16505.